Welcome to Chadwick & Son Orchids Inc! Founded in 1989, Chadwick’s is Richmond’s premier orchid supplier. There are two locations: the greenhouses are located on 18 acres in rural Powhatan County and the retail store is in the heart of Richmond’s museum district. Visit Chadwick’s and you will be amazed at the selection of rare, heirloom, and vintage blooming orchids available year-round. Consider us your one stop shop for plants, gifts, supplies, and a friendly staff ready to answer any of your orchid questions. Can’t make it to one of our locations? Browse our online shop! Even within Richmond’s redbrick historic neighborhood known as the Museum District, Art Chadwick’s florist’s shop seems like a quaint throwback to an earlier time. A bell chimes as you open the door, and fans swirl below a pressed-tin ceiling. Cymbidiums, cattleyas and other flowering orchids are presented in decorative pots on round tables. Along one wall, a green pleated sofa invites patrons to linger and chat. I am here on a mild Friday afternoon in winter, and a small but steady stream of customers arrive, chatting in relaxed fashion with the proprietor. Chadwick, 56, is dressed casually in a brown cable-knit sweater, and he seems to be a guy comfortable in his own skin, smooth and urbane — in sum, exactly what you might expect in the genteel and luxuriant world of orchids. In 2009, orchid grower and connoisseur Arthur E. Chadwick, owner of Chadwick & Son Orchids, arrived at the Harrison Opera House in Norfolk, Virginia. He was there to meet the then-First Lady Michelle Obama at a private reception. In his arms, he was juggling an arrangement of five gorgeous orchids with blooms in hues ranging from lavender to fuchsia. 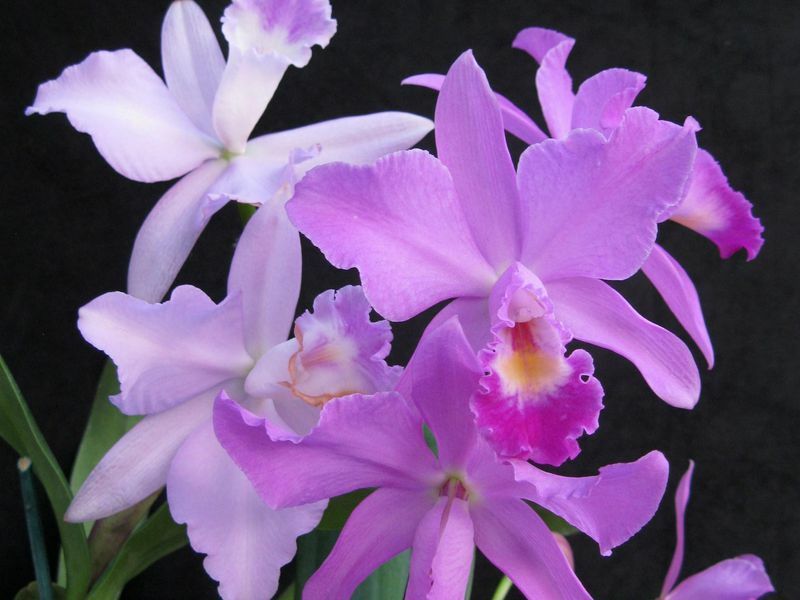 The plants, cultivated by Chadwick himself, were a specialized breeding of the hybrid Cattleya Mini Purple and the species Cattleya trianaei to create a new variety that would be known as Cattleya Michelle Obama. The orchids were to be presented as a gift to Obama, the 14th consecutive First Lady to have a cattleya orchid named in her honor.